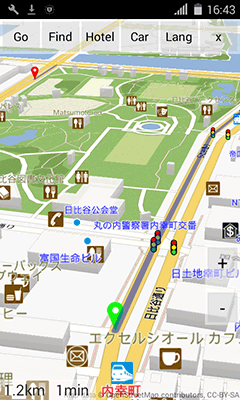 3D Maps of Tokyo + GPS Navigation. App for Android. 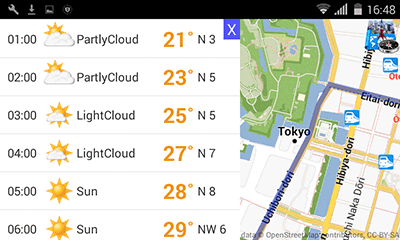 Download the whole Tokyo for navigation without internet connection. Free GPS app for Android. 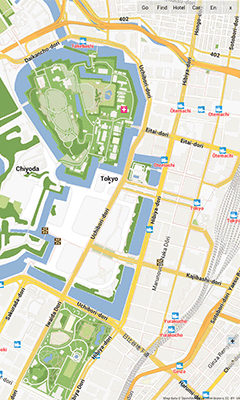 - Detailed 3D/2D maps of all roads in Tokyo with street addresses. 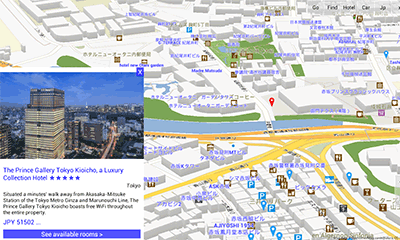 - Bilingual maps: English and Japanese. 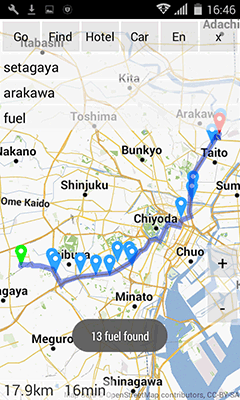 - Download all routes in Tokyo, then use it anytime. - Over 900 hotels in Tokyo saved on your phone. Imperial Palace, Ginza, Asakusa, National Museum of Nature and Science, Ueno Park and Zoo, Tokyo National Museum, National Museum of Western Art, Meiji Shrine, Miraikan and Edo-Tokyo Museums, Tokyo Skytree, National Art Center, Kabuki-za Theatre. City, Juhu Beach, Babulnath Mandir, Elephanta Island, Mount Mary Church, Mahalakshmi Temple, Kanheri Caves, Taraporewala Aquarium.